SNEAK PEEK! 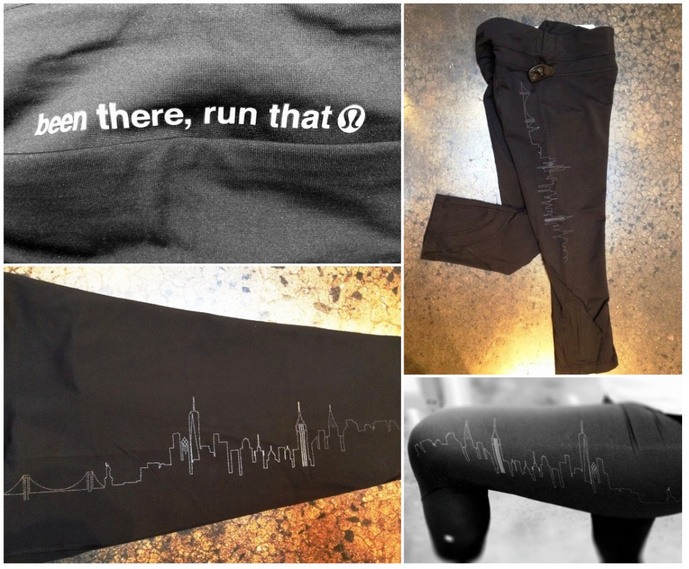 NYC Marathon Exclusive Gear! You guys know of my love of Lululemon. If you don’t, I do. I love their stuff. I am a proud Ambassador Alumni and love when I get the chance to share cool stuff from them with you. This year, they wanted to show all you NYC Marathon runners some special love and create products exclusively for you. And I got a chance to try it all on today! My go-to crops anyway. Add my city’s skyline = instant favorite! Best crops ever now with the reflective NYC skyline on them. They fit true to your normal Run Inspire II size and are in the traditional luxtreme fabric, which is the only way to go for all sweaty activities. My buddy GB modeling the men’s sweatshirt. Lookin good, GB! 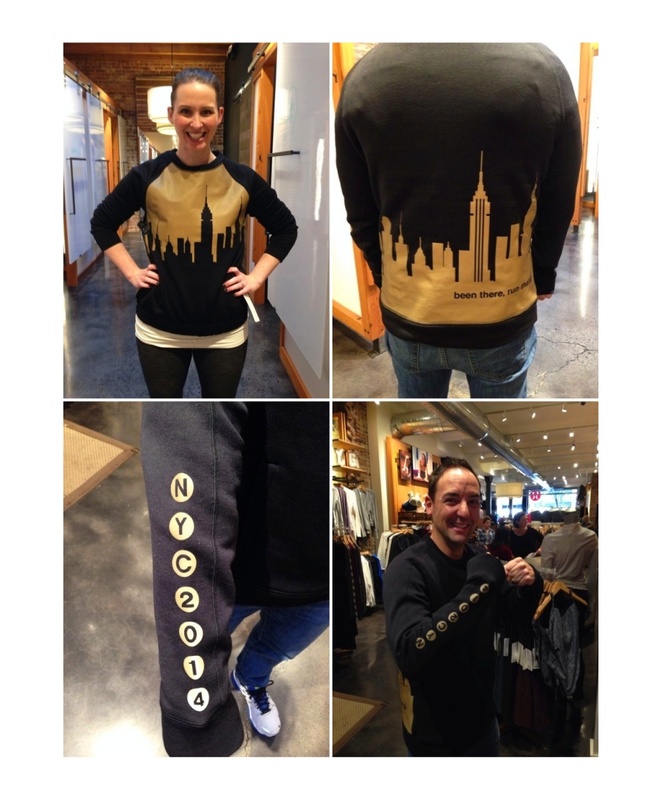 So, the men’s sweatshirt is just black on the front, but the women’s has the skyline in gold (modeled by yours truly). I dig the sleeves and the skyline on the back. It’s SUPER comfortable and something to snuggle down in post-marathon. It’s only available in MANHATTAN stores starting THIS THURSDAY, OCTOBER 30th. There is an extremely limited supply in each of the stores. The gear WILL NOT be available at the Lululemon marathon after party on Sunday. Full disclosure, they had me fit test the pants and let me keep them. My opinions are all my own (just ask my husband). Happy shopping! And good luck running the boroughs this weekend! Those running tights are so cute! I wish I was running the New York marathon, or even just in New York!